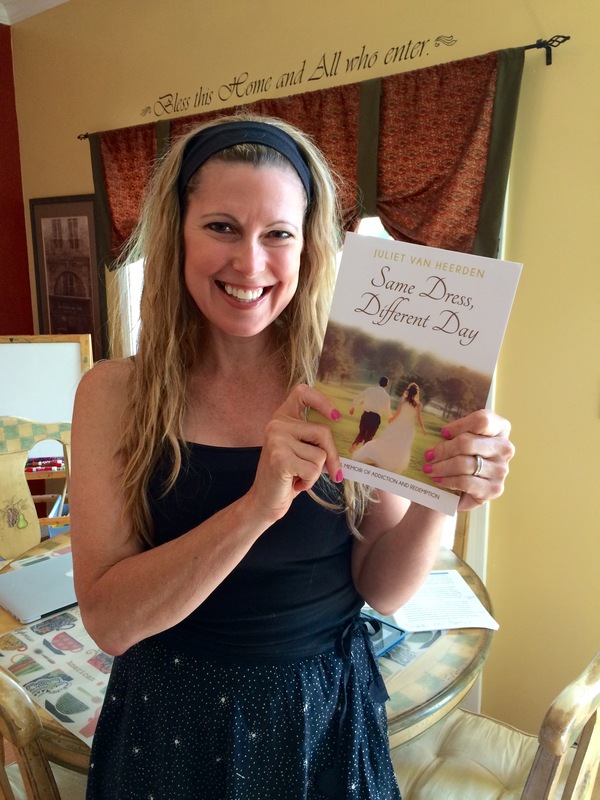 Same Dress, Different Day: A Spiritual Memoir of Addiction and Redemption is available through multiple sources. All book royalties support the 501(c)(3) nonprofit organization, Relevant Life Solutions (www.relevantlifesolutions.org). Funds go to help families affected by addiction and to support my ministry of bringing the recovery culture of transparency, vulnerability and transparency to churches and communities. Or they will order your book into the store. Get the word out! Please consider writing an Amazon and/or Barnes & Noble Review. Thank you so much for supporting this ministry. Juliet Van Heerden, President: Relevant Life Solutions, Inc.
Do you have a schedule of your speaking engagements? If so, where do i find one? I would love to attend one of your workshops on Road to Recovery. I met you at the Adventist Recovery Ministries weekend recovery leadership program and you graciously gave me a copy of your book. I wanted to let you know that I have finished reading it and absolutely loved the way you share your story. You are a truly gifted writer. What I enjoyed most was reading about the beautiful relationship you have with our Lord and Savior. Your biography is different from most in the way that you give God all the glory and recognize how He has blessed your life even through the toughest of times. I long to have that kind of close personal relationship with our Lord. Your book is such an inspiration! Thank you for your openness and all that you do to help others in recovery! Thank you, Ronda. It was a pleasure to meet you and I’m thrilled that you recognized my desire to give God ALL the glory for this work. It’s a story, not about me, but about Him. I’m so glad you found that truth on the pages of my memoir. He is certainly The Faithful One and the Hero of my story.